John Goodall, CEO of Landbay, MIAC’s Rental Index Partner, has penned an article for the Council of Mortgage Lenders (“CML”). Please check it out HERE. 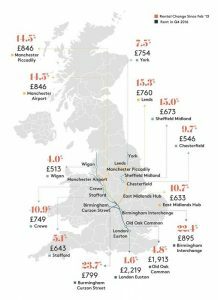 The article talks about how infrastructure investment across parts of the UK has influenced rental prices. It also provides wider commentary on the differing geographical trends happening in the UK. MIAC provide the “Landbay Rental Index, powered by MIAC” to lenders and other property linked organisations. It provides granular insight into rental price trends and can support BTL lenders in various portfolio management models and processes. Please get in touch if you are interested in finding out more about this product. “Landbay is a peer-to-peer lender that provides retail and institutional investors with access to the UK buy-to-let mortgage market. We do so through a platform that simplifies the traditional lending process, offering a direct transaction between investors and borrowers. 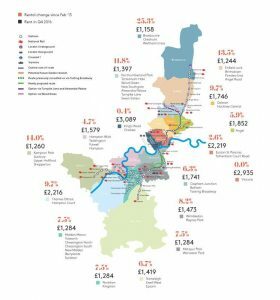 Our business is based on a detailed analysis of data about the rental market, which we publish in our national rent review, published annually, and our monthly rental index. Rent Check is our online tool allowing tenants and landlords to follow movements in their own rents against others in their area, with our postcode “widget” harnessing sophisticated UK-wide data from the monthly rental index.